You will find below the list of all guidebooks realised by the National Secretariats. Click on the links in order to request them by e-mail directly to the relevant organisation. There isn’t yet any complete series covering all five trails in all languages, but in the chapter "The Trails" you can create your own personal guidebook using the information of the website. 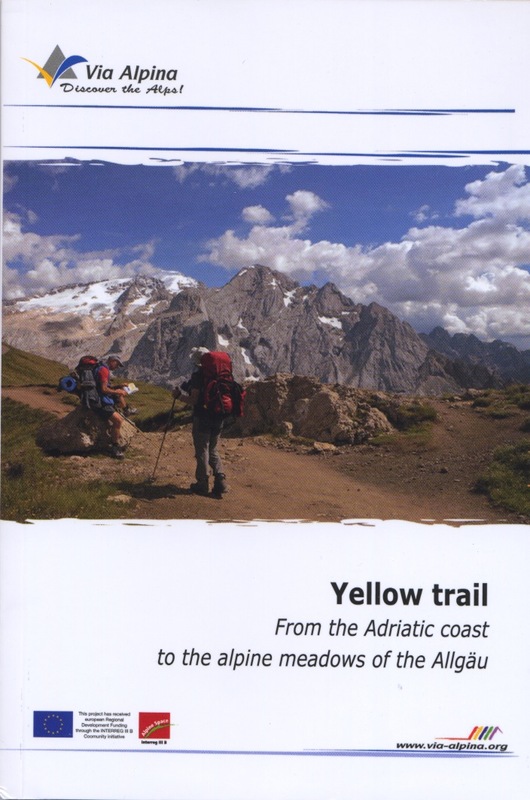 Detailed description of the 40 stages of the Yellow trail, including a folded overview map with, on the back, specific information on pilot projects realised in one of the 6 regions crossed and the detailed map of the corresponding stages. In Italian, German or English, 12x18 cm, 88 p., many colour photographs, published 2007. Download here (guide only, PDF 6MB): EN, DE, IT. National Secretariat for Austria or Germany (B32-B40, English version out of print). Detailed description of the Green Trail with schematic maps, altitude-distance graphs and many colour photographs. In German, French or English, 12.5x19cm, 72 p, 22.90 CHF, published 2008. Available from www.swisshiking.ch and in bookshops, for further information contact the Swiss National Secretariat. This series presents the detailed route of Via Alpina in the heart of three particularly impressive mountain ranges (stages R25-R20 on the Red Trail, B35-B31 on the Yellow Trail and A28-A31 on the Purple Trail, respectively). The books also insist on the main aspects of the local natural and cultural heritage, with a critical view on their evolution, and present further hikes in the region. In German only, 11.5x15.5 cm, many colour photographs. Karnischer Kamm: 142 p., 5.50 €, published 2005. 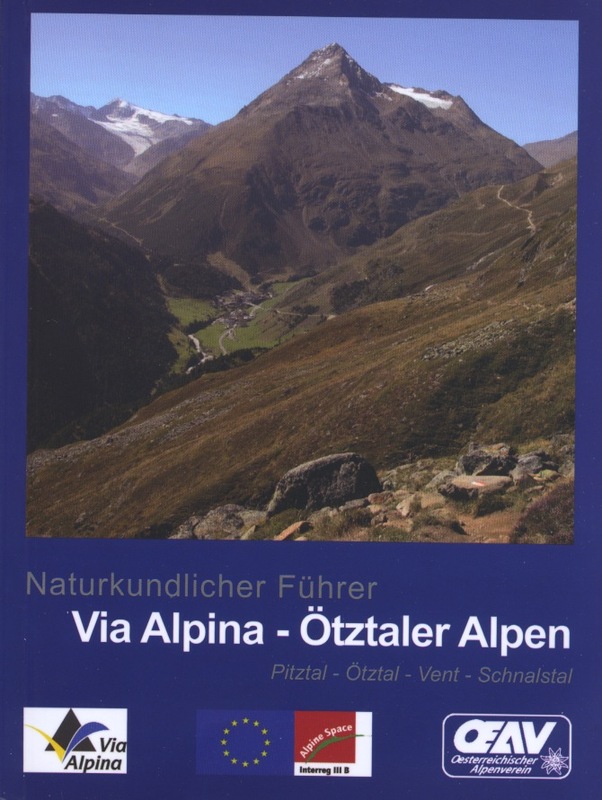 Ötztaler Alpen: 149 p., 5.50 €, published 2007. Totes Gebirge: 194 p., 7 €, published 2010. Available from the website of the Austrian Alpine Club, information from the National Secretariat for Austria and Germany. 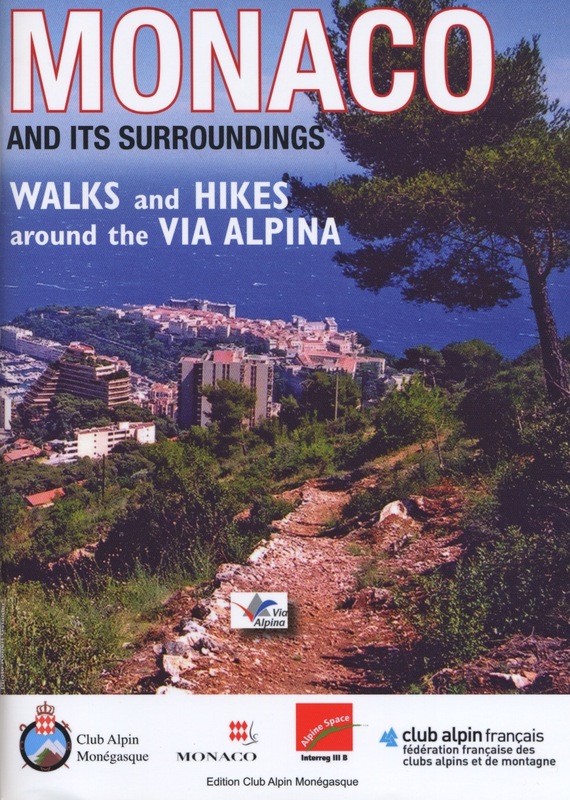 Description of the towns and villages to be discovered in a 20 km radius around the Principality of Monaco, and of 16 strolls and 44 hikes, with schematic map and map of Monaco. In French, Italian or English, 96 p., 15x21 cm, 14 €, publised 2005. Available from the National Secretariat of Monaco.